Give your family an experience to remember when you visit the Grand Canyon's South Rim from our AAA-rated hotel. 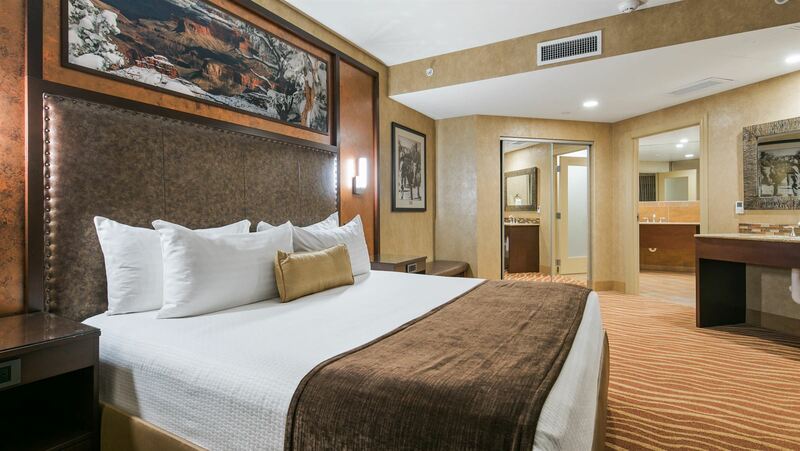 After a day exploring the canyon, relax in one of the 318 rooms of the Grand Canyon Squire Inn, including suites, traditional, and deluxe rooms. 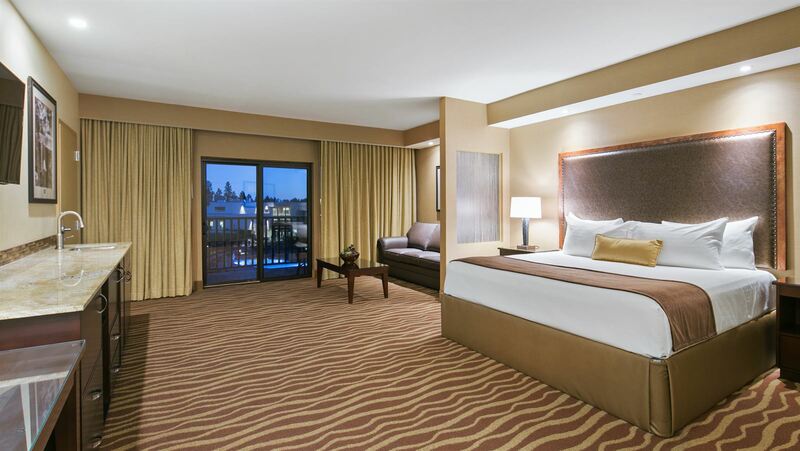 Stretch out in our two-room suites minutes from the South Rim. These accommodations include a king bed, a pull-out sofa, a separate living room, and a bathroom with shower and jetted tub. 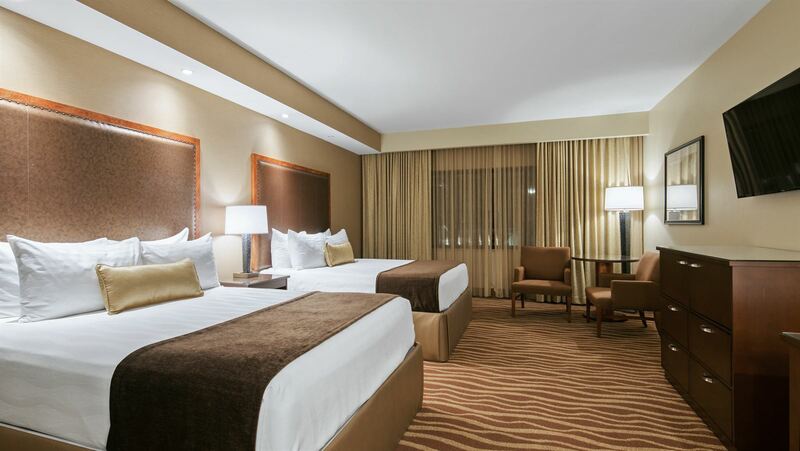 Give your family more space with our junior suites. These large, semi-divided rooms offer a king bed plus a sofa bed. The bathrooms include either a separate tub and shower or a walk-in rain shower. Our hotel's traditional rooms offer either two queen beds or a king bed in our outer buildings. 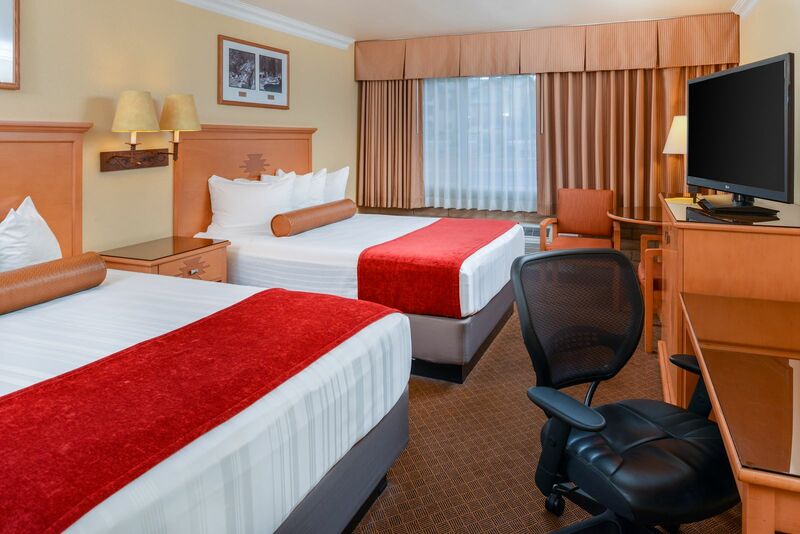 Rooms include all of our standard amenities, such as a flat-screen TV and Keurig coffeemaker. Find intimate rooms with a single queen bed in our hotel's outer buildings. These accommodations are perfect for a quick stop at the Grand Canyon or for couples on a budget.